Hurricane Maria ravaged the island territory of Puerto Rico in 2017. Photo courtesy of NAHB. The National Association of Home Builders (NAHB) is committed to a comprehensive and coordinated resiliency effort to help improve the ability of buildings, infrastructure and communities to withstand the effects of a natural disaster and recover within reasonable expectations and manageable costs. The increasing number of significant natural disasters occurring over the past several years, coupled with ongoing concerns over the changing weather patterns and the effects of climate change, have prompted action at every level of government to increase the resiliency of their communities, infrastructure and buildings. As a result, the resiliency plans, policies and programs that have been put into place – and those under consideration – will significantly impact how and where new homes and communities are built and will greatly influence how existing structures and cities are reengineered, rebuilt and/or remodeled. In most communities, homes designed and constructed to the national model building codes are built to withstand major damage from disasters; provide substantial resiliency for many high-seismic, high-wind, heavy snow, wild fire and flooding events; and are affordable. NAHB encourages local governments to rely on the model building codes and tailor them to fit their needs, promote voluntary, above-code construction in those areas where it makes sense and identify financing mechanisms that provide incentives or credit for more resilient buildings. Most single-family homes are built by local builders – the small businesses who are the backbone of the building industry. Not only do they help provide necessary shelter but most of them also live in the communities where they build – bringing income, jobs and taxes, and buying locally produced goods and services. As such, they have a vested interest in ensuring the resiliency of not only the homes they build but also in the structures and systems that make their communities run. Communities are dynamic and complex systems. To be most effective, any efforts to improve their resiliency must address all of the interconnected elements, such as housing, transportation, electricity and water transmission, supply chains, and education and social parameters. In other words, resiliency must be a community-wide effort. It makes little sense to have structures survive a storm if roads are impassable or the electric grid fails. Engaging in comprehensive and community-wide efforts to identify risks and implement mitigation measure prior to an event allows communities to target highest risk areas. This includes strengthening the older homes, structures, and infrastructure that are less resilient to natural disasters. Similarly, focusing on improving the ability of state and local governments and community organizations to plan for, prepare for, and respond to natural disasters can allow all parties to know and understand their roles and responsibilities, which can lead to fewer impacts and faster recover times. NAHB’s 700 state and local home builders associations (HBAs) across the country are leaders in their communities, working closely with local builders, regulators and policymakers. 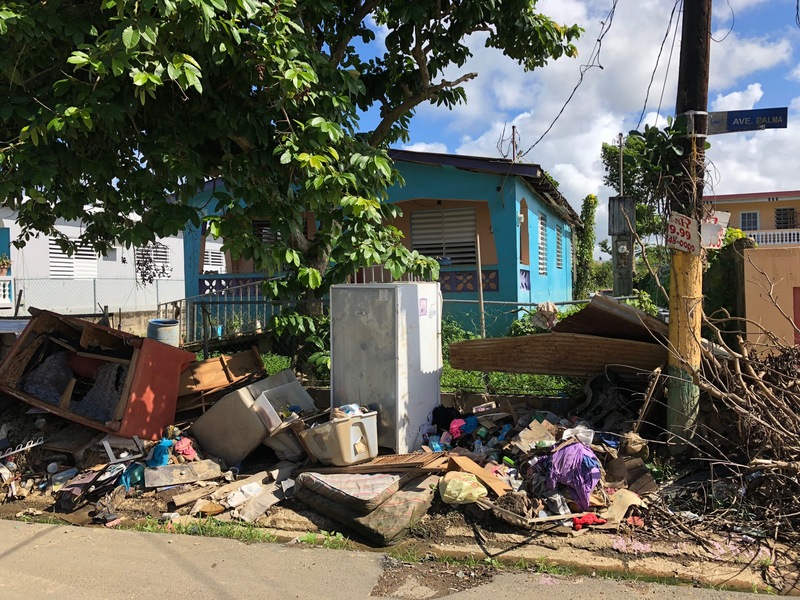 When a natural disaster strikes a community, the local HBA is often called upon to serve as a resource for residents whose lives have been altered or devastated by the event and help their community toward the path to recovery. As a community recovers and works to rebuild after a disaster, the local and state HBA can provide critical information, assistance and resources. Indeed, HBAs and their members are often the first responders, volunteers and coordinators for everything from collecting and distributing emergency relief donations and providing federal disaster assistance, to spearheading site cleanup and systematic home repair. We witnessed this most recently after the devastating hurricanes that impacted Texas, Florida, Puerto Rico and the U.S. Virgin Islands last year. The state and local HBAs responded quickly to arm consumers with vital information about vetting, hiring and paying contractors to repair damage to their homes. These public service announcements warn consumers about unscrupulous contractors following a disaster. Because NAHB members understand home building, HBAs are able to quickly identify housing needs and solutions. Likewise, HBAs can effectively communicate information to builders, home owners and home buyers. Most HBAs are well-connected to the media and have tools to quickly reach out to their members and the community. NAHB’s Disaster Preparation and Recovery Resources are aimed at home owners and others in the paths of dangerous hurricanes, floods, fires and other natural disasters. It includes emergency preparedness tips, resources for keeping safe during cleanup efforts and how to find the right home builder or remodeler. NAHB’s Natural Disaster Resources Toolkit can be used by local governments and community organizations involved in recovery and rebuilding efforts. It’s a clearing house of information, including resources for reaching out to consumers and the media following a storm. As resiliency continues to be used as a catchall to address many housing-related issues, NAHB will play a strong and coordinated leadership role to ensure any resiliency efforts are focused on achieving real results and do not adversely impact the housing industry or NAHB’s members’ ability to provide affordable housing across the country.